Not all creative people do get paid for their work. A lot of creative work happens outside and around paid work. People do a job to pay the bills and spend their free time doing their creative work. Some people are happy being amateurs, even though they may produce work that is of exceptionally high quality. These people do get paid for their creative work, but not at a level that generates a full-time income. Either they have to support their hobby through a paid job, or they may be in a position not to need to work. Lots of stay-at-home mums have creative hobbies that pay a small amount, for example, but the main family income comes from another source. The leap from making a small income as a hobby to making a commercially viable creative business is a big one. It usually requires investment of time and money, and it can be a risky business. It depends on there being a market for your work at the level you need to charge in order to make enough money to survive. That’s not the same analysis the hobbyist has to make. That’s why, in some creative fields, hobbyists can seriously undercut professionals, making it even harder for anyone to go pro. This model relies on patrons with money deciding to support creative people so that they can go professional, even if the market is not at the level they would need to be self-sustaining. A patron might provide studio space, or a minimum salary, for example. They are investing in that creative person, or in a creative project, because they believe it has intrinsic value greater than the market value. Sometimes this patronage can come from government funding and sometimes from private trusts or individual patrons. These four models all exist with respect to writing and publishing. The amateur writes for their own pleasure, and if they publish they expect no payment. Perhaps they publish stories on a blog, or anecdotes in a local newspaper. The hobbyist sells short stories to magazines for maybe £100, or these days they might self-publish a book on Amazon and make a few dollars a month, but certainly not enough to give up the day job. The commercial level is a bit more complicated, because of course many commercially published authors do have other jobs. There can be a transition period, waiting for the royalties to reach a level where the day job can be jettisoned. But in principle, these authors are writing to make money to live on. Patronage is much less common for writers. Sometimes writers are given a residency at an institution which provides an income, giving them freedom to write. Where does Kickstarter come in? Well, it can be used in different ways. 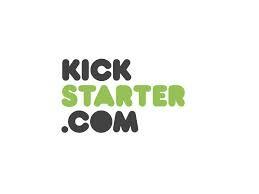 The commercial view would tend towards a pre-order model of Kickstarter. This generates advance income to cover publishing costs and is very like the subscription model of publishing that was common two hundred years ago. People signed up and paid in advance, so that the publishers knew how many books to print and could cover their costs. For a hobbyist transitioning to a commercial business, it’s a good way of generating the financial investment needed. The ‘reward’ is basically just the product, and the ‘pledge’ is the price paid. This is a good example of a ‘commercial’ Kickstarter project to fund production of a new kids’ toy. You pledge the price of the toy, and when it is manufactured it will be sent to you. The patronage view asks supporters to invest in the creative person and their project at a level higher than the market value. That is, it asks them to consider that the work has an intrinsic value higher than its price. There are some projects on Kickstarter which are obviously patronage projects, where the rewards are tokens of gratitude, not products for sale. This is a patronage-style project, with rewards including acknowledgements in the program and a commemorative t-shirt. Of course, lots of projects combine the two, with lower priced rewards that are more like products and higher levels of pledge which go beyond the value of the reward to attract patrons. I like the idea of arts patronage being linked to crowdfunding. You don’t have to be a millionaire philanthropist sponsoring a season of opera. You can give $10 to someone you believe in to help them achieve their dream. This kind of patronage has more often been associated with the performing arts, and to some extent the visual arts. I don’t think it has much of a history in writing, at least not for fiction. I also like the idea of leveraging an end product to raise money needed for its production. Not everyone has their own capital to invest. The cost of producing a self-published book can be up to $1000, if you have to pay for editing, copyediting, proofreading, cover art, and formatting. If you want to produce print copies, it will be significantly higher. Using a pre-order model means you don’t have to find all that money upfront. In the next year, I’m hoping to move from ‘hobbyist’ author making a nice supplementary income, to a ‘commercial author’ with royalties that I can rely on. I’m investing time into this project, and as much of my own money as I can, but I don’t have enough to cover all my costs upfront. So that’s why I’m running a Kickstarter campaign for my next self-published book. There’s a reward set at a commercial level: £2 for an ebook. And there are rewards set at patronage levels: £10 for an ebook with a personalised message, autograph and mention in the acknowledgements, £100 to name a character. And so on. So far, I’ve been amazed at the number of backers who have pledged in patronage ways. People who have pledged but indicated they don’t want a reward at all, or people who have pledged above the minimum level for their chosen reward. It’s humbling to know that people see value in this project – even in me – beyond its market value. In fact, I don’t think I’ve had any £2 pledges for the no-frills pre-order at all. People are awesome. Thank you. I’ve reached 45% of the funding target! People are AWESOME. If you’ve pledged to back the project, I am incredibly grateful. Thank you for helping to make this happen! I’ve introduced a new ‘no frills’ reward level. When the book is published, it will go on sale at £2. If you pledge £2 now, you’ll get the ebook then. Effectively, you are pre-ordering the book at the normal purchase price. I’ve also put up some more details here about the budget and the funding target in response to a few questions.